Receptionists at all of our surgeries can set you up to access our on-line services. You will need to bring some photographic ID into the surgery (Passport or Driving Licence) to confirm your identity and also that you are registered with Priory Medical Group. 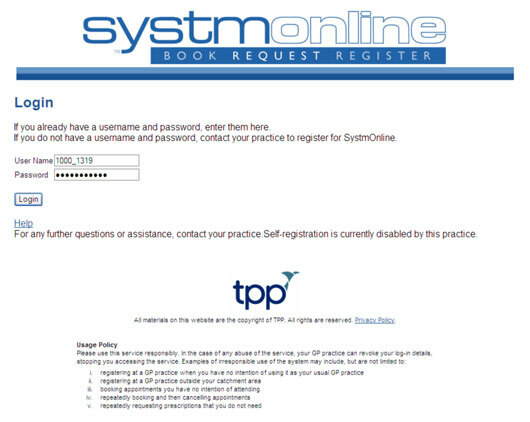 The Receptionist will register you on the system while you wait and give you printed confirmation of your login details and instructions on how to use the system. We would encourage you to change your password the first time you login to the new system to something more memorable for you. All passwords must be a minimum of 8 characters and must contain at least one number and one alphanumeric character (e.g. ‘!’ or ‘?’).